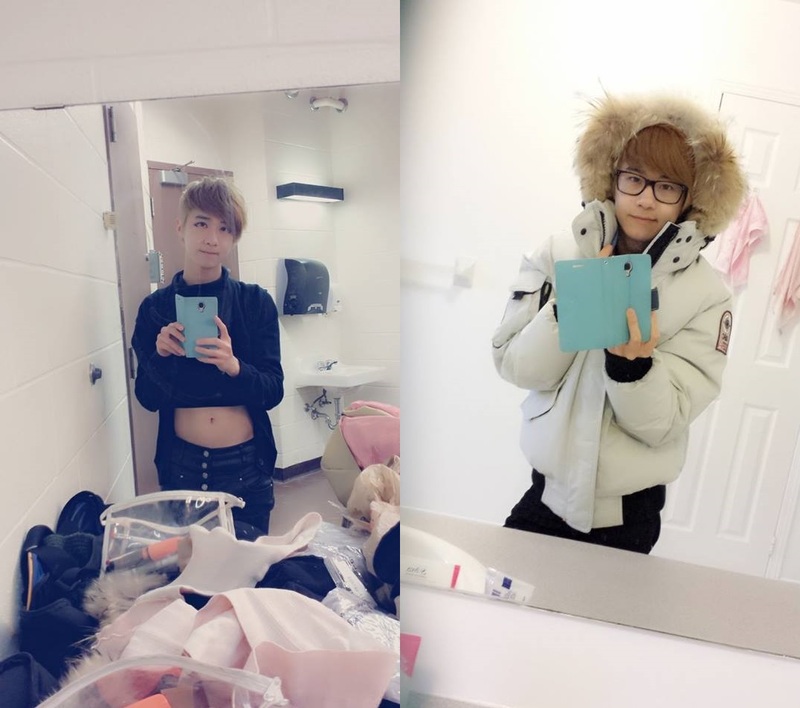 Harny is a Peruvian born Chinese Canadian, resident of Scarborough and current student of University of Toronto St. George, who is often found at Toronto’s KPOP events having a total blast, be it on stage or in the crowd. He’s gotten himself to be quite popular to the Toronto KPOP audience by posting his dance covers to youtube (solo, and with his cover group, UnderGround Pulse), participating in cover dance competitions, and also by posting his kpop idol-esque photos online. Harny was generous enough to donate his time to allow me to interview him, so you, as readers of the Korea-Canada 50th anniversary blog can learn more about him, his favorite Korean artists, and why he decided to become part of the growing international Korean pop scene. Q: How long have you been into KPOP and who are your favorite artists? I knew about kpop since I was in gr.9 but I never got into until 2010 when one of my friends was enthusiastically dancing to SECRET’s Madonna. The beat was so catchy and the dance was as well. So that day I searched up the group and instantly fell in love with them. Let’s just say that’s when I started paying more attention to kpop and started to research other groups. My favorite artists include: SECRET, SISTAR, B.A.P., EXO, INFINITE, MIB, BoA, Ailee, Lim Kim, Roy Kim, Miss A, AFTERCHOOL, and more. Q: How long have you been dancing and what made you decide to start posting KPOP dance covers online? I guess around the same time I started to really get into kpop, my first kpop cover was secret’s “shy boy”in 2011 – which is long gone ’cause it was so bad – but I’d often rewatch my videos to find what I am doing that might look awkward and try to correct myself. I started posting them online because I noticed that there is already a youtube kpop dance cover community so I decided why not? And I think sharing covers through social media sites such as youtube, facebook, twitter we can help get kpop noticed as a new flavour of music that might interest some people’s taste buds. Q: Tell us a little bit about your cover dance group. What events have you participated in as a team? Introduce the other members? The team has participated in: A1 Chinese radio Dance it up! contest, UofT Sound of Korea and Superwave 2013. I have also represented the group by performing solo at Korean Harvest Festival and Popkon 2013. As for the members … there are too many to give a description so I’ll just say there are 12 members in underground pulse and the leader is Andra Bugyei-Twum and her fraternal twin sister Sandra Bugyei-Twum is her right hand man ^^ or Vice-President, if you will. Q: Aside from dancing, your other talent seems to be social media.Your instagram has quite a lot of followers, so can you tell the readers your secrets on how to build and maintain popularity online? aha well I am getting there. First, I try to post things that might interest my followers. in this case kpop related media and ulzzang-like selcas. Also, I try to interact with my followers by replying to their comments and having small conversations with them. I also have a lot of support from other friends that are already extremely popular online that are giving me tips and helping me build popularity online. Q: I’m sure the readers would also appreciate some tips on taking the perfect “selca”, since you seem like quite the seasoned professional! I love food so it’s obvious that my favourite thing about Korea as a country is their delicious food; especially their spicy selections. Besides the food I’ve come to discover that they have different other genres of music (that’s not kpop) to be really eargasmic as well; K hip-hop, OST, etc. Their alphabet also seems to amaze me; it looks like something that came from an extraterrestrial civilization with it’s circles and line strokes that can form words that looks like a human stick drawings. It is really cool and really easy to learn. From my point of view I think Korean Culture in Canada is more noticeable in well known cities like Toronto and Vancouver; with their Korean Towns and Korean Cultural events happening throughout the cities at different time of the year. In the future, I hope to see Korean Culture being noticed in more Canadian cities besides Toronto and Vancouver, being the main two. To achieve this, it will take a lot of effort from kpop fans like me, promoting kpop through activities such as dance covers to spread the awareness of Korean culture throughout Canada. Through this method of getting Korean culture noticed, it might gather more interest of the mass and hopefully Korean Institution in places where it is not as prominent – such as Saskatchewan or PEI, and would be able to create events to promote culture without the failure of not be able to attract a successful crowd. I hope everyone will support Harny in his goals to help spread Korean culture awareness across Canada and the world! And you should definitely check out his dance covers – he’s fun, energetic, and a very talented dancer!